As the November 6 election closes in, the presidential candidates are doing what they can to ensure that every vote is heard. As such, Republican candidate Mitt Romney has filed a federal lawsuit demanding that more time be given to overseas and military voters registered in Wisconsin to return their ballots. Romney and his campaign had initially sent a letter to the Wisconsin Government Accountability Board (GAB), requesting the deadline extension. After the board refused to act on the letter, the former Governor of Massachusetts filed the lawsuit in Madison's federal court on October 12, according to the Badger Herald, a local paper. While regular ballots are required to be returned by November 9, Romney is requesting another five days for overseas and military ballots to be received. "We will respond to the substance of the lawsuit in court filings," Reid Magney, spokesperson for the GAB, said in a statement. "Only four ballots were sent out too late to have the required 45 days of transit time to reach the voter and be returned for counting." According to the Hudson Star Observer, state officials said that 44 ballots were sent out up to five days after the deadline of September 22. In addition, Romney has filed similar lawsuits in states such as Michigan, Mississippi and Vermont. Whether these lawsuits make it to court, there will still be the need for a hearing or deposition on the case. In such a situation, it will benefit lawyers of both the GAB and the Romney camp to have the most accurate deposition transcripts. Furthermore, the presidential campaign may prove an issue with transportation. 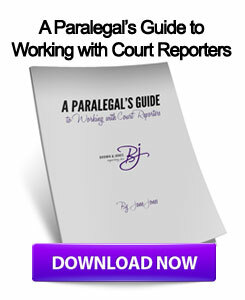 By partnering with Milwaukee court reporters that also offer video deposition services, these issues can be effectively solved. 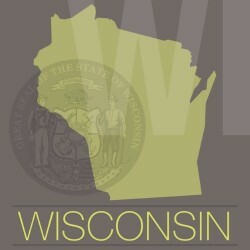 This entry was posted on Thursday, October 18th, 2012 at 10:02 am	and is filed under All Posts, Wisconsin Legal. You can follow any responses to this entry through the RSS 2.0 feed. You can skip to the end and leave a response. Pinging is currently not allowed.